Swiss Made featuring a Ronda Caliber Z60, 3-hand (hour, minute, chronograph seconds) quartz chronograph with date and day of the week, 30-minute, and continuously running 60-second subdials. "This watch is truly an amazing piece of equipment. Not only does it look rough and rugged, the feeling of it being on your wrist is unlike any other! All in all, the best watch I've ever owned - no question!" Is it rebellious to mate the classic Swiss, Ronda Z60 xtratech Day Date Quartz Chronograph with the case of the most funded Swiss watch in crowdfunding history? 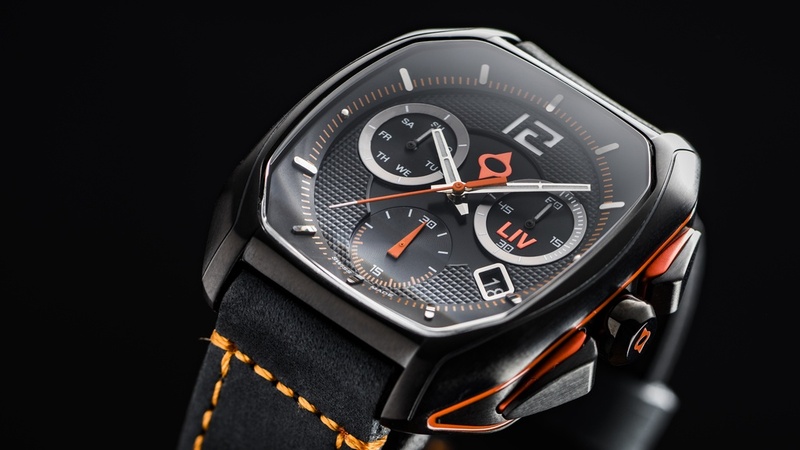 Yes, and what you expect from the brand shaking up the watch industry, LIV Watches. This outstanding quartz chronograph delivers extreme accuracy with chronograph and calendar capabilities. All in a rebellious design. Like all the Rebel models, the DDC rides in a hand finished and polished 316L stainless steel case. 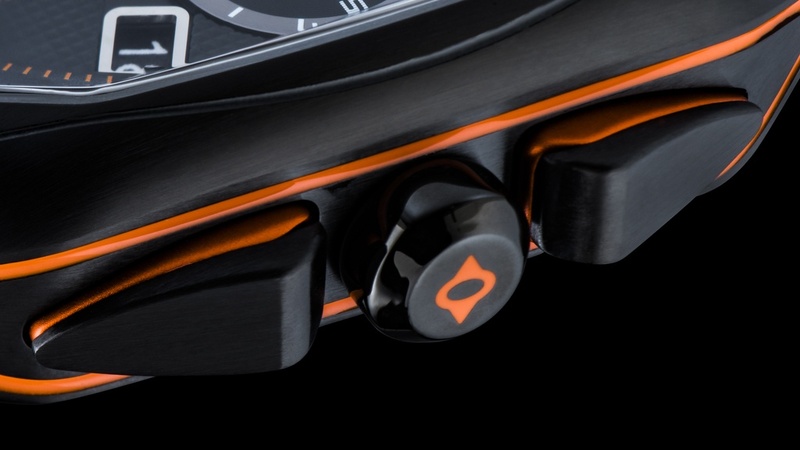 High-grade, anti-reflective sapphire crystal covers a captivating 3D multi-level dial. The lustrous case and crystal work together like they were molded as a single piece. Your choice of best-in-the industry straps and bracelets let you add a personal touch to your wrist rebellion. Rebels and classics can live in harmony. The Rebel-DDC is wearable proof. Make this Rebel your own. I just got my watch yesterday and it is already the favorite of my collection. The bright orange is an eye catcher for sure. Definitely would recommend this watch to anyone. I just got my Liv rebel DDC and it looks great. It look better in person than in the pictures, great finish and great feel. The compliments have started to pour in and man! it was worth the wait. Look better than most of the really expensive Swiss watches out there!. Great job by the LIV team. I have a nice watch collection with some big names. They have their time and place, but day to day, my 2 Liv watches are my go-tos. They look & feel like quality, the movement is incredible, and they are so unique that they always get compliments. looking forward to getting more! I felt myself making the right decision for getting the yellow dial as it is not easy to get a nice yellow dial watch such nice as this yellow dial LIV Rebel-DDC. It always get attentions from the other people whenever i have it on my wrist. The body of the watch itself is a bit thick, for my opinion, small wrist and traditional leather straps not really suits this watch. A nice rubber strap is more suitable for this watch. For me, this watch can just a grab and go wear it, for daily outings. Well what shall I say! Really breathtaking design, everyone who sees it asks me.... Where, how, how much and so on..... Always a good talk about a perfect idea of liv watches! Really proud about this new design piece on my wrist!